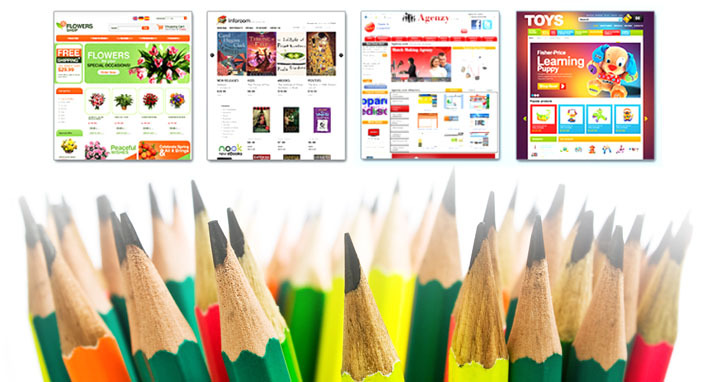 FRENZY is a world leader in web design and development – providing customers with valuable, convenient, relevant and enjoyable online experiences through a diversity of products and services. FRENZY WordPress sites and eCommerce sites are provided with ready-made web designs, that can be used as a basis for fast and high-quality website. We build beautiful WordPress websites for any client for any type of niche. We will install your responsive WordPress theme or custom WordPress design that will depict the layout and the graphical interface of your site. We offer our business web hosting for free for the first year. We provide eCommerce sites solutions and customized eCommerce development per customer requirements. You will get a shopping cart system specifically designed to meet your unique need and your your customers will have immediate and fast access to your website. Manage unlimited products, categories and orders from a single location. Our team has an extensive experience in developing world-class websites using the most recent tools. By outsourcing your web designing services to us, you ensure that all your website related requirements are met by a team of professionals. We have provided end-to-end web solutions for many companies in industries like logistic, publishing, retail, information technology, manufacturing, insurance services, and financial institutions, etc.